Tencel and other variations of natural wood fiber fabrics are a bit of a newcomer to the world of luxury linens. They are made in a similar process to bamboo sheets, where the tough, woody fibers are slowly broken down into thin, supple, extremely smooth strands. In spite of the similarities in process, the final feel of tencel and wood fibre sheets is quite different than that of bamboo, with an extremely smooth, almost silk-like finish. It certainly something you have to feel for yourself to believe! At Goldgrass Home, we offer an entry-level Tencel that people are finding to be a great value in terms of feel, performance and quality. And we also off the ultra-luxurious Legna collection from SDH, which is an Italian collection made from the fibres of the European Beech tree. Many people are finding that it is softer and smoother than silk, not to mention that it's easier to care for. 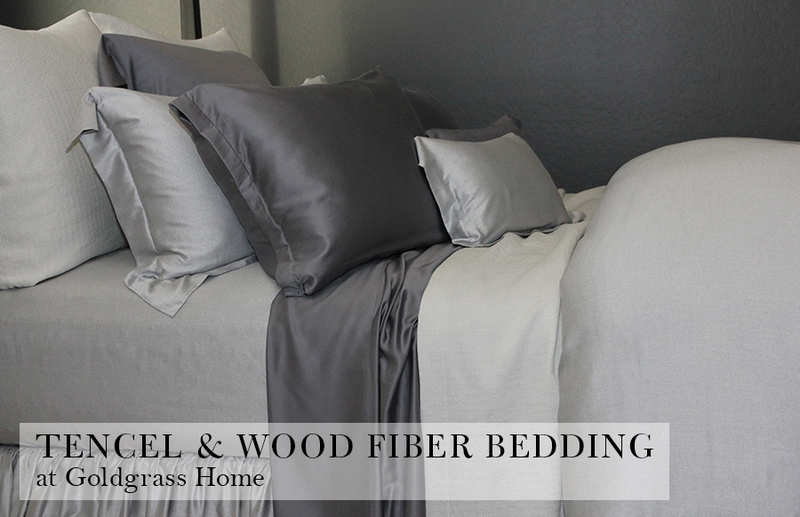 Visit us at Goldgrass Home and we'll be happy to give you the tour of our Tencel & Wood Fiber sheets, as well as the rest of our unparalleled collection of luxury bed linens.